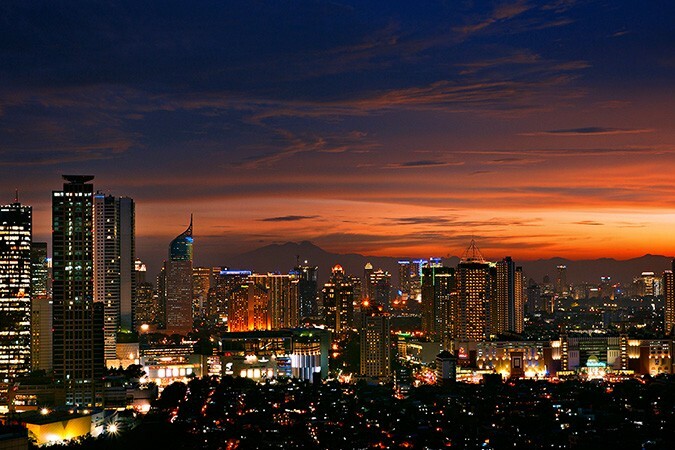 Located on the north coast of Java, Jakarta is the capital city of the Republic of Indonesia. With over 10 million inhabitants, it is one of the world’s biggest and busiest cities and the largest in Southeast Asia by population. Included in the demographic is the entire sprawling metropolitan area of Jabodetabek (Jakarta, Bogor, Depok, Tangerang and Bekasi), the population of which exceeds 25 million, larger than the whole of Australia. The city traces its roots to Sunda Kelapa, a bustling port town on the northern coast known to have existed since at least the 15TH century and which today is still home to Jakarta’s traditional harbour. Fuelled by the booming spice trade, the port expanded quickly and soon became part of the new city of Batavia. With the arrival of traders from Britain, Portugal and the increased influence of merchants from India and the Middle East, Batavia became a magnet for Chinese and other migrants from around modern Indonesia, who fuelled not only population growth but generated great wealth. As Batavia prospered the Dutch constructed houses and canals, some of which still remain. It was a melting-pot of different Indonesian ethnic groups, migrants and traders and was regularly mired in both local and international conflict. During the Second World War, the occupying Japanese renamed the city Jakarta and, in 1950, it was officially named capital of the newly formed republic, five years after the nation had proclaimed independence. 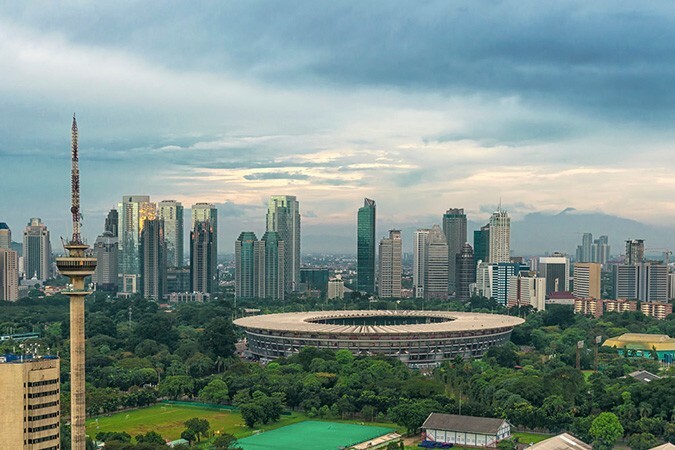 As the gateway into Indonesia, Jakarta is considered a truly global city and the capital of one of the fastest growing economies in the world. Its growth is highlighted not just in the increasing number of luxury apartment blocks, business skyscrapers, international restaurants and cars, but with the shifting emphasis towards infrastructure development. None are more obvious than the expansion of Soekarno-Hatta International Airport which, in 2016, served 55 million passengers, ranking 22ND on the list of the world’s busiest airports. Jakarta’s cultural richness and dynamic economic growth have spawned a city that attracts people from all walks of life. But it remains a city of massive contrasts; the traditional and the modern, the rich and the poor, the sacral and the worldly often stand side-by-side in this bustling multi-cultural metropolitan area. 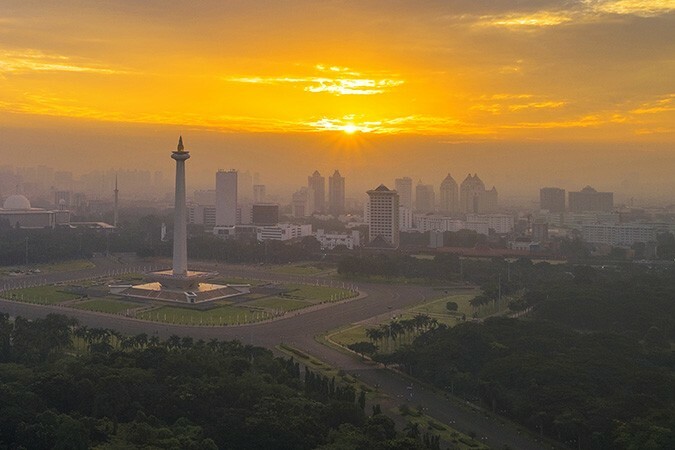 Jakarta’s population is a mix of widely diverse ethnic and cultural groups drawn from the sprawling archipelago of Indonesia and is a constant reminder of the national motto: Unity in Diversity.